Welcome to WePlayAvalanche, a blog about board game design. Hello there and welcome to my first blog post. Through much reluctance of my own I have been holding back on writing a blog for my board game. This is mostly because I like to keep my internet self and my real life person self as two separate entities. However, as I started more and more to use twitter and instagram I realized the worlds could not be separated. People want to know who I am, why I am creating AVALANCHE!, and the thought processes as I am making the game, so please enjoy the posts as conversations between me and you. 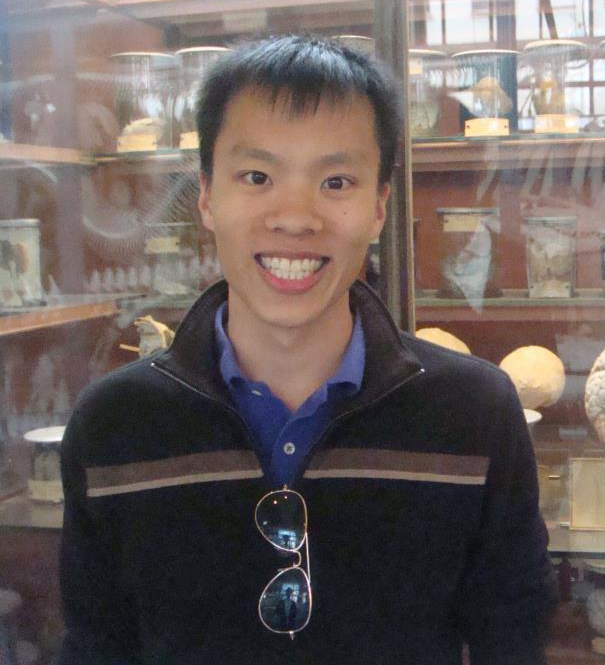 My name is Tony Tran and I am an amateur board game designer. There, I said it. I am currently munching away on some strawberry cereal and 2% milk while typing this up on my $10 keyboard. It is a chilly Sunday morning in Boston, MA. The weather says it is currently cloudy with a strong chance of rain so I will most likely be staying home and catching up on homework. Like most other game designers, I do this as a passion and definitely not as a paid job. I chose dentistry as my career choice and I am currently a 3rd year dental student at Tufts University School of Dental Medicine (TUSDM). Most of you might feel your stomachs sink a bit already and I entirely understand. I am creating AVALANCHE! because I love gaming culture and I want to share that with my friends, your friends, and that person that just entered the room and wanted to sit down and make new friends over a board game. Growing up as an Asian-American, I was usually shy and was hard to make friends. I still kind of do even though I am in my mid-twenties. I grew up playing games with my family, whether it was cards with my grandma or board/digital games with my cousins. My fondest memories were playing and losing every game of monopoly, learning to “count cards,” or just making a huge skeletal army that rampaged the deserts in Diablo 2. I always made friends over games, like people make friends over watching TV shows and sports. It was my impetus. When I moved from Georgia to Boston, MA for dental school, I never knew how that was more real for me than it ever was. I came to Boston without knowing anyone in the area. All my friends were made in dental school but after a while I wanted to meet people outside of school. Imagine talking about teeth for 8 hours a day then going home to your dental school roommates and talking more about teeth. Between you and me, it’s terrible. So I set out to make some gamer friends because my current friends were not gamers. To be clear, gamer just means someone that plays games, not someone who is obsessed. I wanted to talk with people that shared my interests. There was a FLGS (friendly local game store) where I live. I went to check it out on their board game night and let me describe to you the awesome feeling. It was a comic book store with one side of comics and one side of tabletop games (bigger category of board games because not all games need a board, some are just cards). Some people were already sitting down and setting up. I opened my mouth and asked, “Do you guys need 1 more?” They replied “yes”, I sat down and that was it. It might not sound like a lot, but imagine doing that at a bar (Boston is a big bar city IMO). It would be incredibly awkward and just not what people do. It was like a pick-up game, but instead of soccer or basketball, it’s a board game. Instant social acceptance. That is why I play and create games. It doesn’t matter your race, age, nationality, or even language in some cases. People who play tabletop games are happy to teach you and they will convert you to a believer. The great thing about tabletop games is the insane range of difficulty, play styles, genre, and themes. If you want to play a simple, short 15 minute game where you shoot up outlaws and renegades, play Bang! If you want to play a 6 hour epic where you, as an alien race, take over the entire universe through diplomatic, military, and economic might, play Twilight Imperium 3. 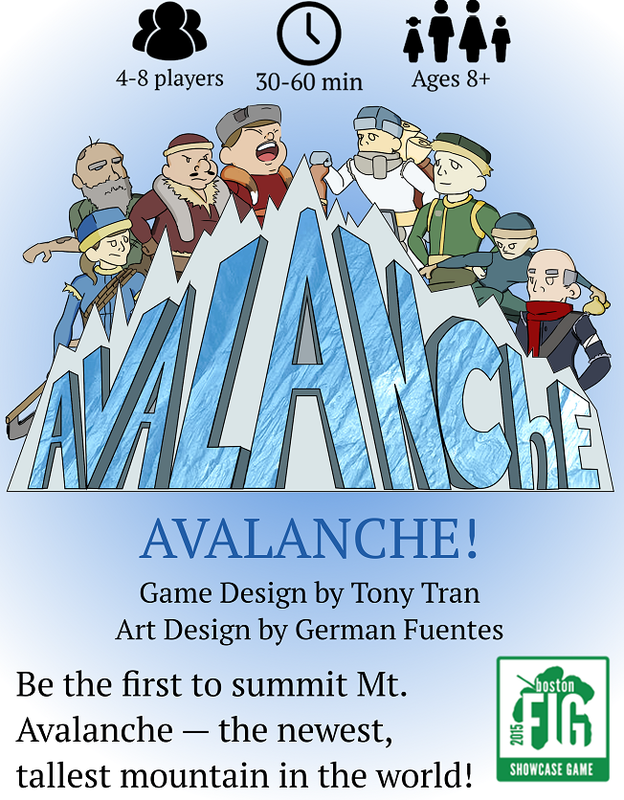 If you want to play a medium length, game where you roll dice over and over again to screw over your friends as you climb to top of a mountain, play AVALANCHE! These are just some of my favorites. This is who I am and why I create games. This first post has become longer than I thought it would (I am just typing as I go). I will most likely update this blog at least once every 2 weeks but I will aim to write one once a week. Thank you for reading. Next visit: I will talk about my game and why I choose to make it like it is.